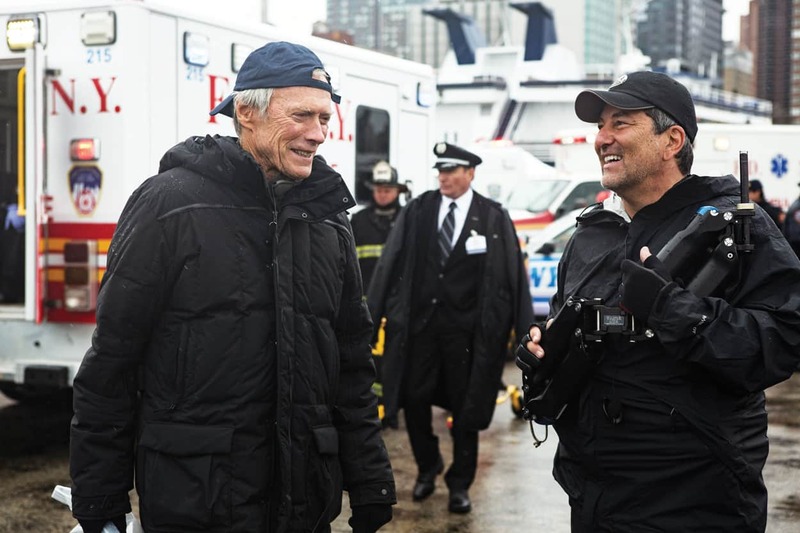 Sully marks Stephen Campanelli, SOC’s 18th feature film collaboration with director Clint Eastwood (19th if you count the 1997 documentary Eastwood on Eastwood). 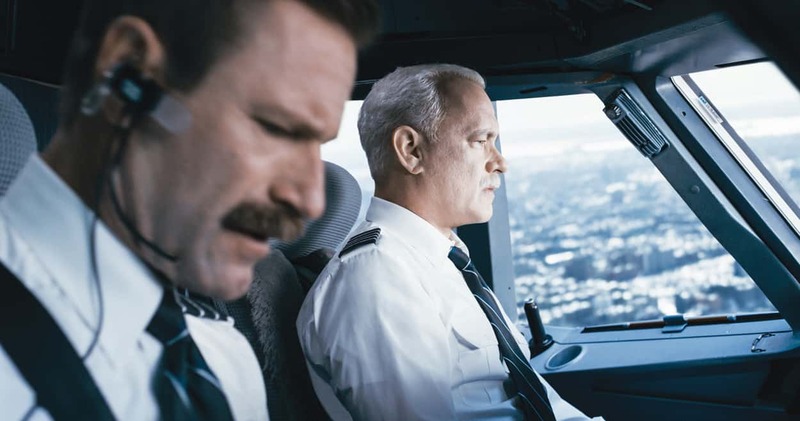 This latest collaboration tells the story behind the Miracle on the Hudson when pilot Chesley “Sully” Sullenberger saved the lives of all 155 people aboard his plane when it suffered catastrophic engine failure shortly after takeoff. The film immerses viewers into the drama of the flight’s emergency landing on the chilly waters of the Hudson River and shows Sully’s experience dealing with being simultaneously celebrated as a hero by the public, while an investigation into the event called everything into question, threatening to destroy his reputation and career. Camera Operator invited Stephen Campanelli to discuss his experience working on the film and operating with the new Alexa IMAX camera system. CO: How and when did you get hired for this job? It’s funny, because I had to leave American Sniper halfway through the movie to go and direct my first movie called Momentum, in South Africa. It was a very tough talk to ask Clint if I could leave and go direct. In true Clint fashion, he was so generous and encouraging, and he said, “Go and direct the movie and make me proud.” After that, I wasn’t sure if I would get called back to do Sully, but sure enough, he called me one day and said, “If you’re not too busy being a big shot director, I would love you to come back and operate for me on this movie.” Within a second I said, “Yes, of course!” There is no job better than working with Clint Eastwood. 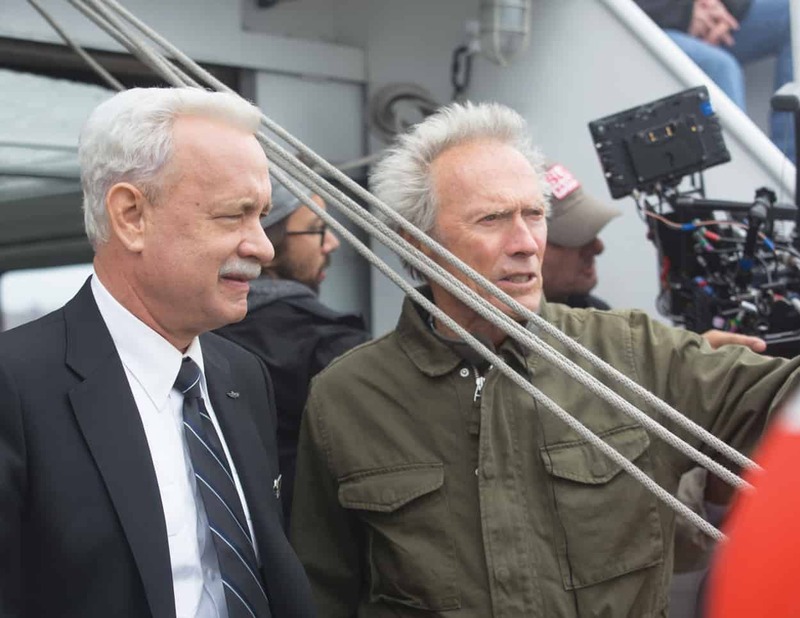 CO: You have worked with Clint Eastwood many times, but was there something special about this film that was different for you and Clint besides shooting with the new ARRI IMAX camera? What was it like working with Clint on this project? Working with Clint on every movie is a dream come true, and I still have to pinch myself! He is so empowering to his crew, and so generous with his actors, and leads by example…which a lot of people in Hollywood could learn from. This was also a new experience for all of us, as we were shooting in 65mm digital IMAX. The Alexa IMAX cameras were a little heavier, and longer, which made shooting in the airplane a little difficult. But the images we were getting were spectacular. Thank God, we had Tony Rivetti pulling focus, where most of the time he only had one inch of depth of field! CO: Who were the other members of the crew that you worked closely with? As I mentioned, Tony Rivetti was our focus puller, and Roger Wall was our 2nd AC. They both did an amazing job considering how fast Clint likes to work. I also worked very closely with our first assistant director, David Bernstein. He was amazing at this job. CO: Please tell us more about your experience working in the IMAX format. Except for the very shallow depth of field there wasn’t much of a difference for us, except we had to really pay attention to all the detail that was in the frame, knowing that it was going to be on such a massive screen. It also bought a new level of excellence to the visual effects department. They sure had their work cut out for them. CO: Can you talk about how you captured that spectacular landing sequence? Actually most of that was CGI, the rest was me inside the cockpit doing handheld, shaking the camera a little, twisting it around a little bit. 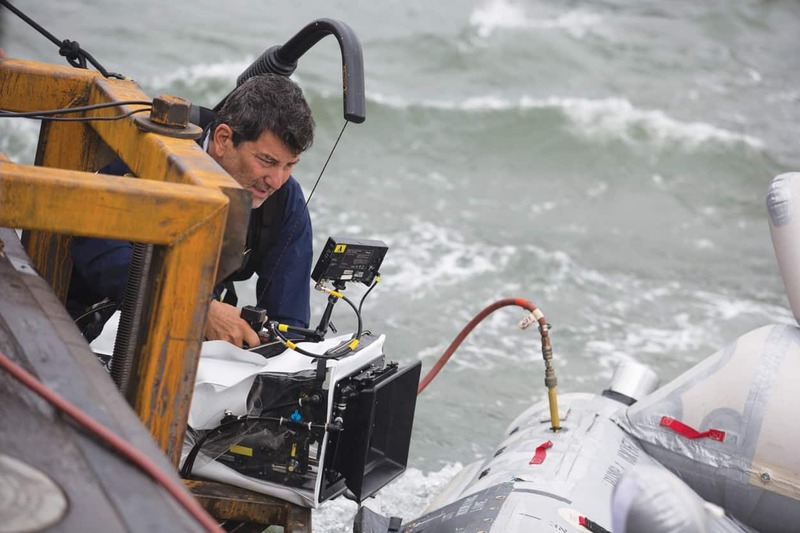 I was mostly handheld using the full-size Alexa 65mm IMAX camera during that sequence. It was quite large and hard to move around in the cockpit. I was hoping we could have use the Alexa Mini, but it was not available at the time. CO: What is your favorite shot and proudest moment from the film? Another favorite shot, and I’m very proud of it, was the shot of Tom Hanks running through Times Square. We shot that at 2 o’clock in the morning without anyone knowing. We had Tom sitting in an SUV waiting for camera to be ready, I was on a rickshaw dolly with the Steadicam, and once we were in position in the middle of Times Square, the AD department alerted Tom Hanks to start running. As he did, we rolled camera and he ran towards us and down one of the streets. We did one take and that was it. CO: This story is a biopic of a real-life hero, played by Tom Hanks. How was it working with Tom? This was my first time working with Tom Hanks, he is the best of the best. A true professional, a true wonderful warm human being, and very funny and talented. He fit right into the Clint Eastwood school of filmmaking: be prepared, know your lines, and do it fast. Camera operator, Stephen Campanelli on the set of Warner Bros. Pictures’ and Village Roadshow Pictures’ drama SULLY, a Warner Bros. Pictures release.. Photo by Keith Bernstein. CO: Where was the film shot? Any locations that were particularly challenging? The film was shot in New York City, on the Hudson River, in North Carolina, Atlanta, and on the Universal Backlot water tank in California. I believe we had the largest thing they’ve ever put in that tank: an Airbus A320, fully loaded, on a gimbal where we can control the plane with pitch and roll. It was fascinating to watch and to be a part of. 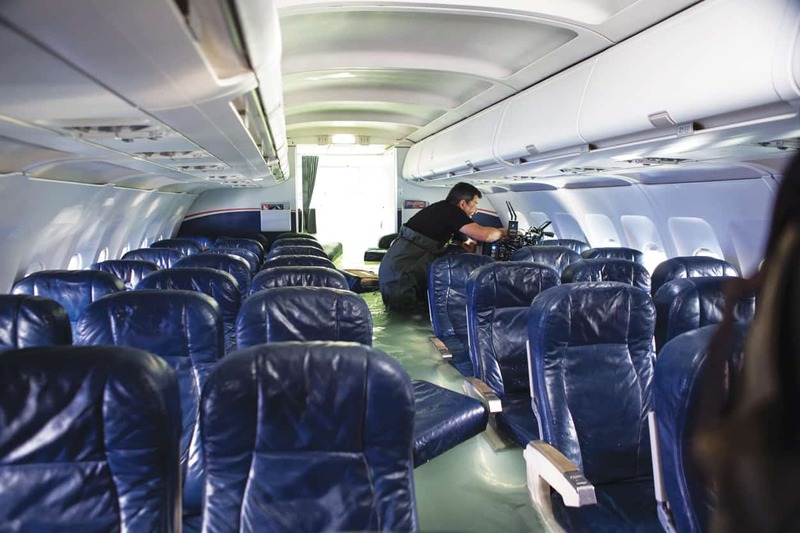 The confines of the plane were tough, as we had 155 extras, and I had to squeeze the Steadicam down the main aisle and into seats, etc. It also got very hot in there when we turned off the AC. One funny story is the actual very first shot of the film that we did the New York City, in the middle of the Hudson River, we were told in many meetings that none of us were actually going in the water, and we will be using the Hydroflex to do that…but the first thing Clint said was, “Hey let’s get Steve into the water handheld.” So there I was in 70-degree water with a shirt and shorts on, whipping around a 65mm IMAX camera in the Hudson River while helicopters soared overhead. But that’s what we do as camera operators: always be ready for anything. CO: So, what are you doing next? After Sully, I went to North Carolina to operate on a film called Three Billboards Outside Ebbing, Missouri with Martin McDonagh as director. Ben Davis was our director of photography. What a wonderful man, and so talented. It was a great experience with a great cast and a great location. I am in Canada right now about to direct my third movie, it is called Indian Horse, and it is based on the best-selling novel. I love directing just as much as camera operating. I love the whole creative process. CO: Anything else you’d like to mention? After 22 years working with Clint Eastwood, I have learned from the best, and I am branching out to directing myself, but will always come back to operate for Clint or anyone else that I respected. Next to directing…camera operating is the best job on set! 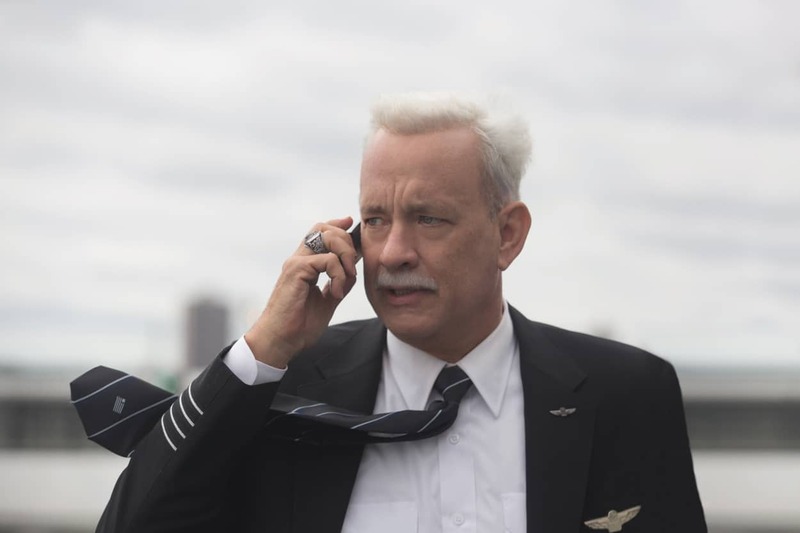 Aaron Eckhart as Jeff Skiles and Tom Hanks as Chesley “Sully” Sullenberger in Warner Bros. Pictures’ and Village Roadshow Pictures’ drama SULLY. 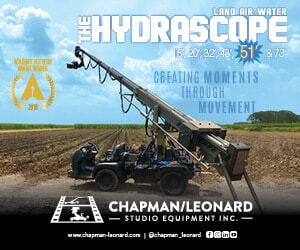 Before it became an essential tool on nearly every set, Stephen Campanelli purchased a Steadicam. Being the first to combine “A” camera operating with Steadicam, Stephen quickly become one of the most sought after Steadicam operators in the country. Then, Stephen’s work piqued the interest of his boyhood idol: Clint Eastwood. First collaborating on the Oscar and Golden Globe nominated Bridges of Madison County, Stephen has remained Clint’s most trusted “camera eye” ever since. Nominated for Best Camera Operator of the Year three times, winning in 2012, and awarded the SOC’s Lifetime Achievement Award in 2016, Stephen’s competence and depth of experience have led many of the directors he’s worked with to entrust him with crucial on-set directorial decisions. Now, Stephen has made the natural leap to director, having already helmed two feature films. Derek Stettler is a filmmaker and freelance writer who also writes for American Cinematographer. He has been an Associate Member of the SOC since 2015. A lifelong lover and student of cinema, Derek discovered filmmaking as his life’s passion after graduating high school in 2010, having since made a number of short films and commercials. Derek currently works as a freelance editor and camera operator, and recently worked on his first feature film as key grip and 2nd AC. Copyright Society of Camera Operators 2015 | All Rights Reserved. .